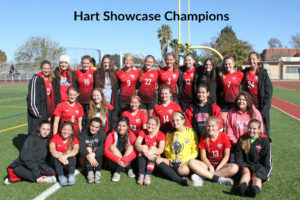 Welcome to the Hart High Girls Soccer website. The Indians soccer program is rich in history and tradition, with a legacy of success in the Foothill League and CIF. We have been blessed to have incredibly talented players who have contributed to the impressive success stories during each season on and off the field. 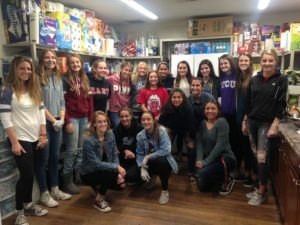 Throughout the school’s storied history, countless players have used Hart’s soccer program to springboard into competitive college programs across the nation. Congratulations to Hart Girls, Notre Dame Boys, and Aerospace Academy Girls on being champions in the Hart Varsity Showcase. Saturday, December 22 at 9.30am at Hart. Grab your shin guards and dust off those cleats to challenge our Hart Indian ladies Varsity team. Join in some fun during this busy holiday season. Hope to see many of you there! 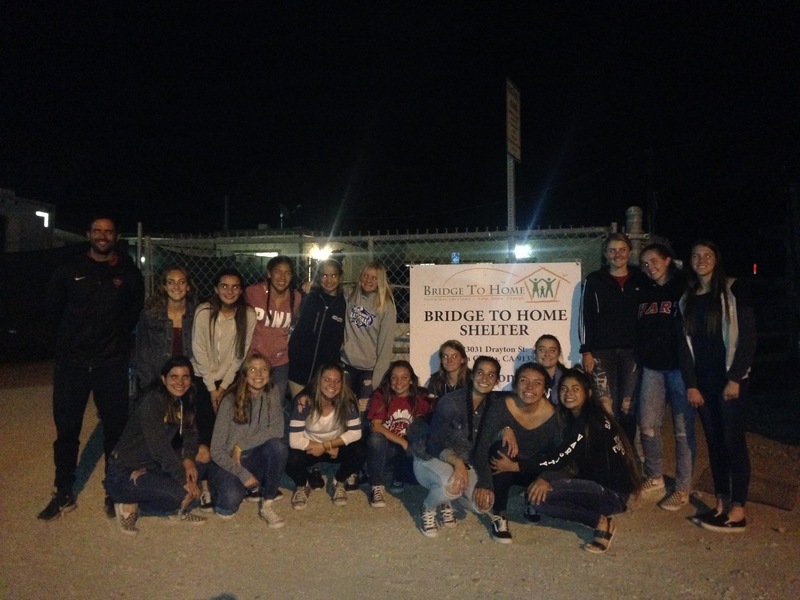 Coach G and his Varsity team hosted a dinner for those attending Bridge to Home on December 18th. The girls enjoyed a little preseason bonding while providing comfort food to those who are less fortunate in our community. A special thanks to Adam Waddell for arranging this opportunity for the girls and both our parent volunteers, Carine Sheehe and Keith Thompson. Please ask your family, friends and community to help support our program! Be sure to check your inbox for our new email campaign. 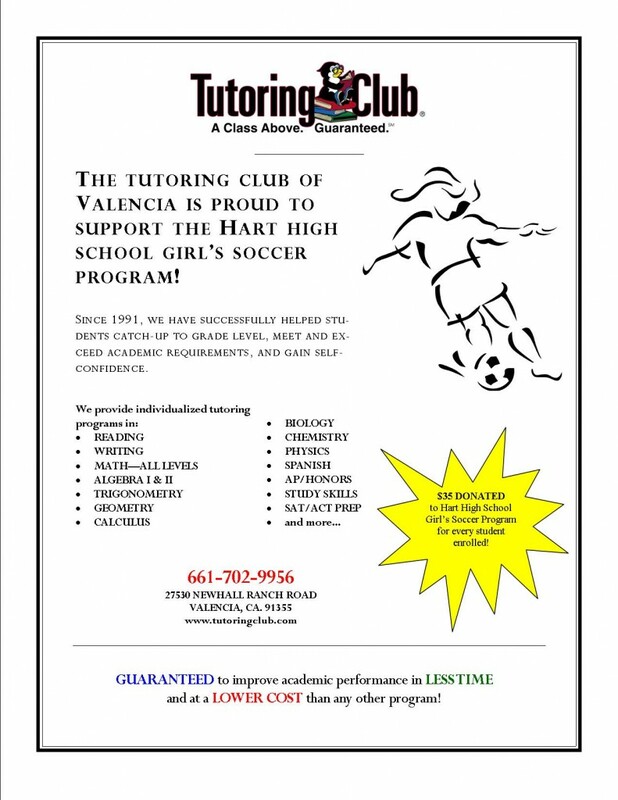 The Tutoring Club of Valencia is proud to support the Hart High School Girl’s Soccer Program!